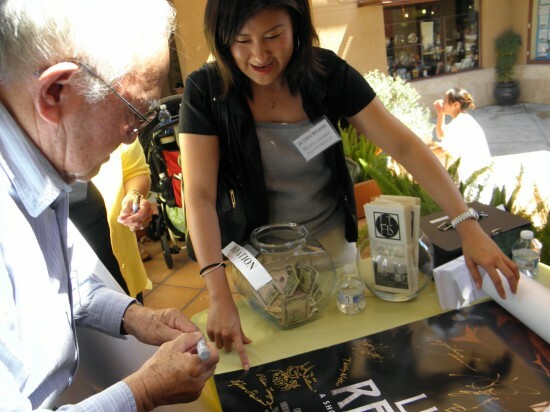 “Lil Tokyo Reporter,” a short film based on actual events in the life of Kashu Mainichi founder Sei Fujii, had its world premiere at the Laemmle Playhouse 7 in Pasadena on Friday, Saturday and Sunday. 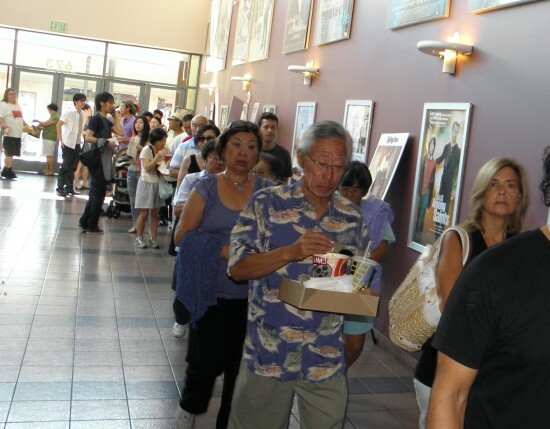 Due to the size of the crowds, the final screening was moved to a larger theater. Set in Los Angeles in 1935, the well-received film depicts a confrontation between crusading newspaperman Fujii and a criminal element running a gambling hall in Little Tokyo. 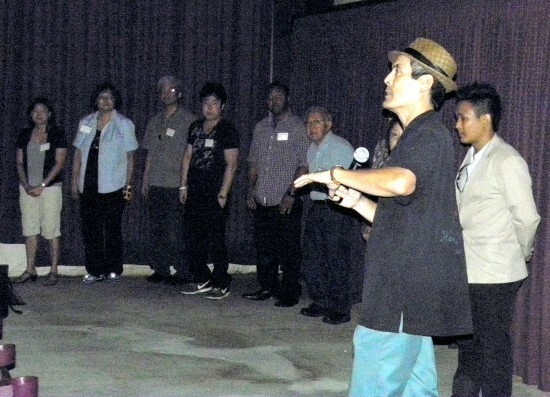 Speakers at the last screening included actor Chris Tashima, who plays the title role. During the post-screening reception, cast and crew members signed posters of the film. Pictured are Yukio Kawaratani, who was an extra, and Michelle Sugihara, associate producer. From left: Chris Tashima, 2010 Nisei Week Queen Lani Kume Nishiyama, who plays a Nisei Week queen in the film, and director Jeffrey Gee Chin. 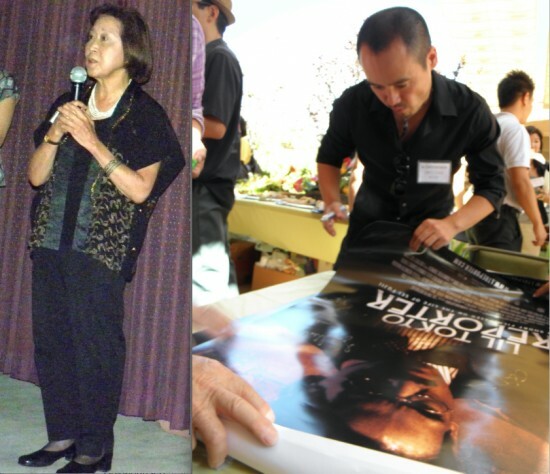 Left: Fumiko Carole Fujita, executive producer. Right: Actor Eijiro Ozaki, who plays a reluctant gangster. The film also stars Ikuma Ando, Keiko Agena, Sewell Whitney, Michael Marinaccio, Garret Sato, Hiro Matsunaga, Eric Fehmel-Noda and Shu Sakimoto. The filmmakers also include producers Mayon Denton and Michael Iinuma.